The Points Tool can make a lot of difference in the quality of your game. It enables you to snap pieces into place exactly where they should be. Snap Points: While having the Snap Points (F9) Tool selected, you can place Snap Points anywhere on the board to make pieces “snap” into place like a magnet at specific locations. To make placement easier, you can also make use of the grid lines to easily place the Snap Points down if you need to do so in a straight line. Rotation Snap Points: These points are fun, because while they work like the regular Snap Points, they go a step further. You can press the arrows to change the rotation of the Snap Point. This is good for things that are curved or need to be facing a certain position. The snaps can currently be rotated 15°. So if you placed a Rotation Snap Point and rotated it 45° to the left, then when an object is placed down, it will snap into place and also rotate 45° to the left. An example of how to use the Rotation Snap Points can be found in the following gif. Points can be placed on both locked and unlocked objects with the Points attaching to the locked object so you can easily move these around. 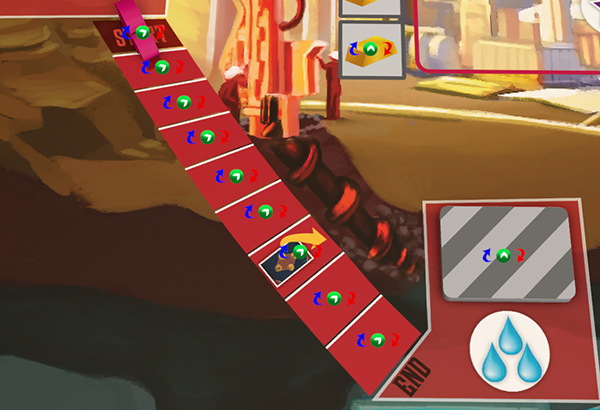 Once you click on a different tool, the snap points won’t be shown on the board/table, but if you placed them correctly, when you move pieces to a location that has Points on them, you will see them in action! 1. Points can be moved by click-dragging. 2. To delete a snap point, you just click the point while the Point Tool is selected. It will highlight red. 3. Clicking on an unlocked object will place the snap point right where the object is, but is attached to the table and not the object. 4. Clicking on a locked object will attach the snap point to that object. So you can unlock it, move it around and the point will remain on that object.